Casserole recipes are amongst the easiest recipes to throw together. They often involve one baking dish, making for a quick, painless clean-up. You can often serve a casserole as the entire meal with side dishes included in every bite. That is menu planning at its finest! Another great reason casserole recipes are such a perfect option is they can feed a group. It is simple to double up recipes and make multiple casseroles. Copycat casserole recipes are recreations of your favorite restaurant recipes, but in casserole form. Casserole recipes are perfect for Thanksgiving menus, Christmas menus, and everyday menus. Ideas are endless for what the casserole can be. Meat casserole recipes are filling and a budget-friendly way to feed the whole family. Vegetable casserole recipes are hearty and you can play a trick with picky eaters by loading them with cheese. Breakfast casserole recipes can often be made ahead of time so they are ready to pop in the oven come morning. The best casserole recipes are simple, filling, and rave-worthy. 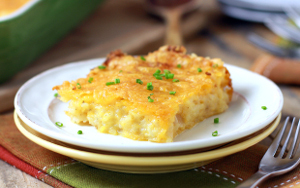 Cracker Barrel is famous for their hash browns casserole with many people venturing to the restaurant just for a taste of this easy casserole recipe. But its not the only casserole making them famous. Check out these killer copycat recipes from Cracker Barrel. Cracker Barrel Hash Brown Casserole Knockoff - The classic casserole copycat recipe (pictured above). 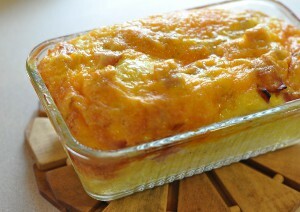 Copycat Cracker Barrel Ham and Egg Casserole - Breakfast made simple (pictured at top of page). Copycat Chicken Casserole from Cracker Barrel - Hearty, comfort food done right. Dinner can be served all in one baking dish. These main dish recipes are easy casserole recipes at their finest. Do not spend all day worrying about a 5 course meal when you can have all 5 courses in one delicious bite. Copycat White Castle Casserole - Who needs sliders when you have this casserole recipe? Doritos Taco Bake - Crunchy and savory delight in each bite. 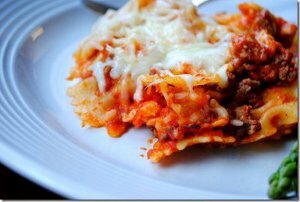 Healthy Knockoff Sbarro Baked Ziti - A healthy take on a out-of-this-world recipe. Side dishes and casserole recipes go hand in hand. These copycat side dish recipes utilize the casserole form for maximum flavor in every bite. 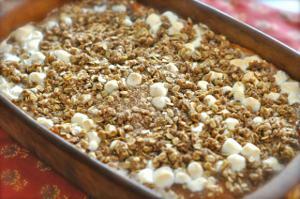 Copycat Boston Market Sweet Potato Casserole - This is the perfect easy Thanksgiving side dish. Copycat Luby's Fried Cabbage - A vintage recipe with a casserole spin. Knockoff Martha Stewart Mac and Cheese - There is nothing more comforting than a divine mac and cheese. This is it.